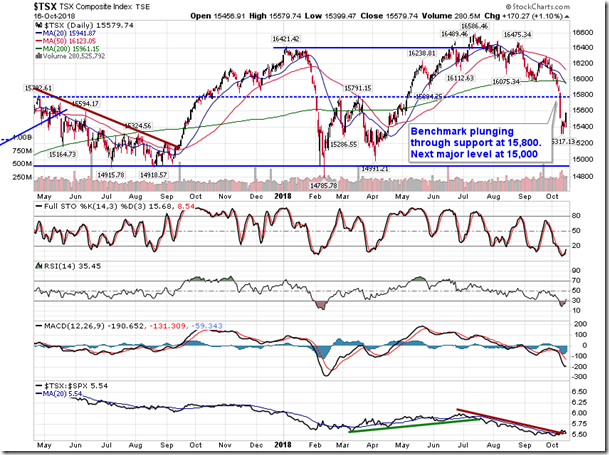 Equity buy signals trigger as major benchmarks retake support at 200-day moving averages. 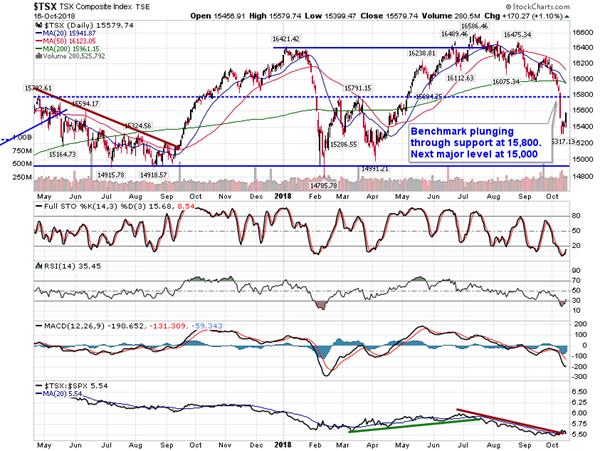 Stocks surged on Tuesday as earnings season kicks into high gear. 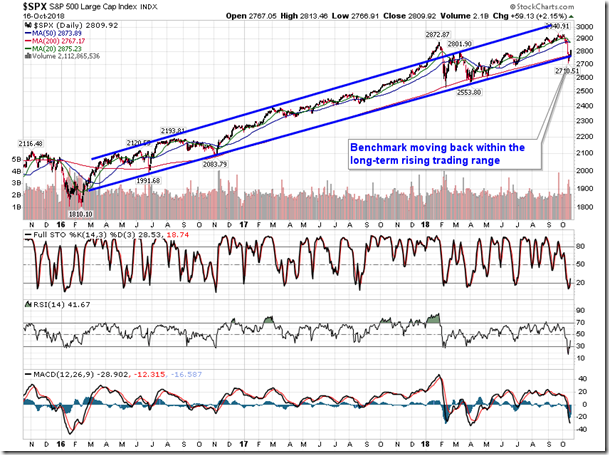 The S&P 500 Index jumped by 2.15%, retaking support around the rising 200-day moving average. 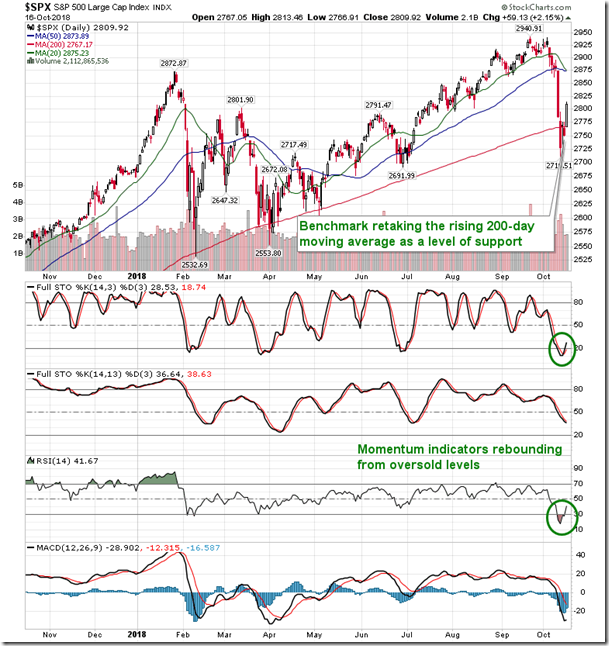 The 14-day Relative Strength Index (RSI) and 14-day Full Stochastic Oscillator rebounded from oversold levels, triggering buy signals in the process. 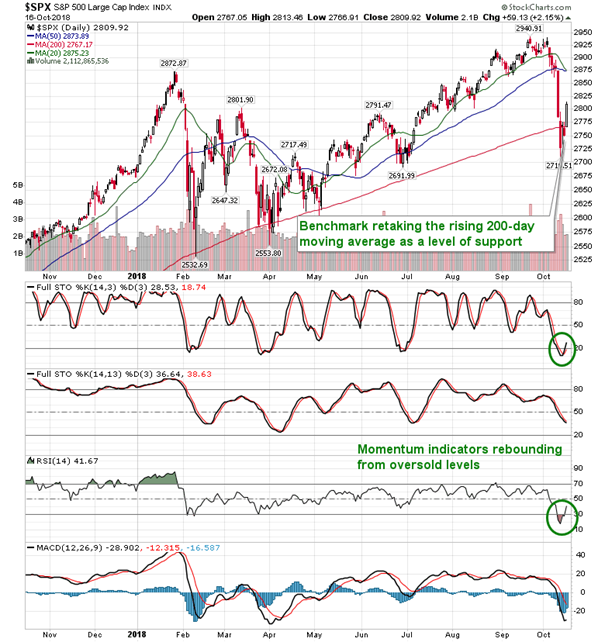 Next hurdle overhead is the 100-day moving average at 2824, a variable level of support that was broken during last week’s market rout. 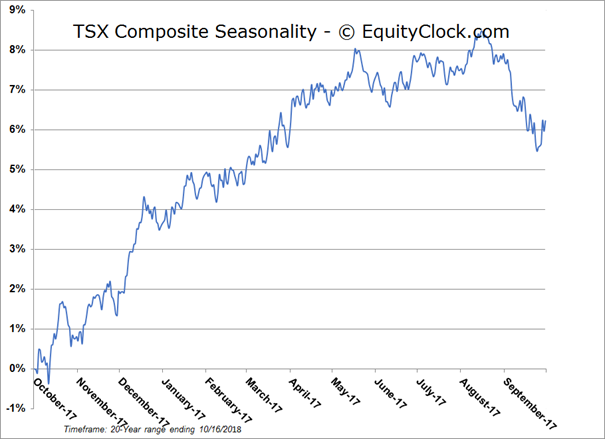 The selloff has provided appealing entry points to seasonally favoured sectors in recent days, but the market still has much to prove to confirm that the strength is sustainable through the entire period of seasonal strength ahead. 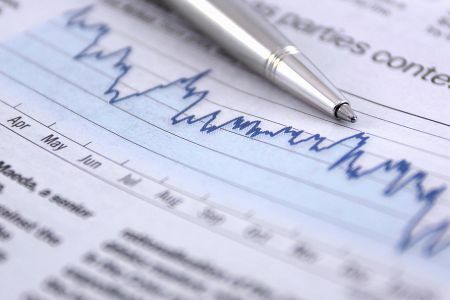 In the Seasonal Advantage Portfolio where we use a three-pronged approach to managing allocations, we have been using the weakness to our advantage and we are monitoring the strength of the rebound closely to determine the sustainability. Interested in gaining exposure? 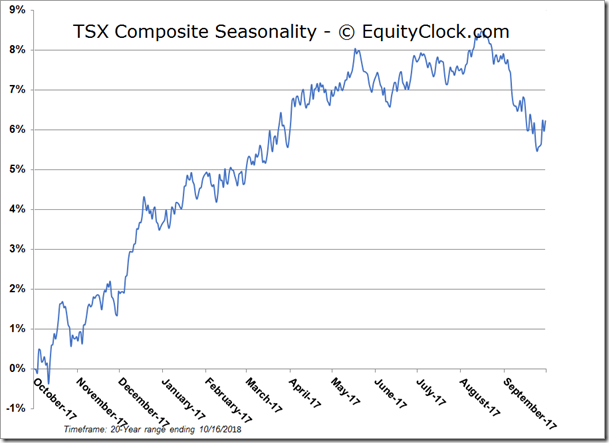 Email us at seasonalportfolio@equityclock.com. 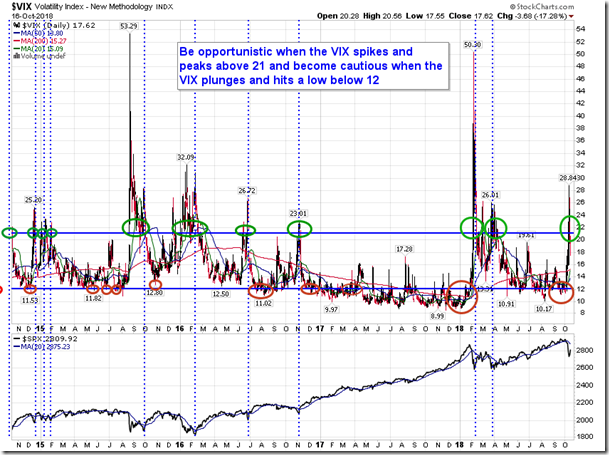 With the surge in equity values on Tuesday, the level of the volatility index fell by over 17% to move back below 20. 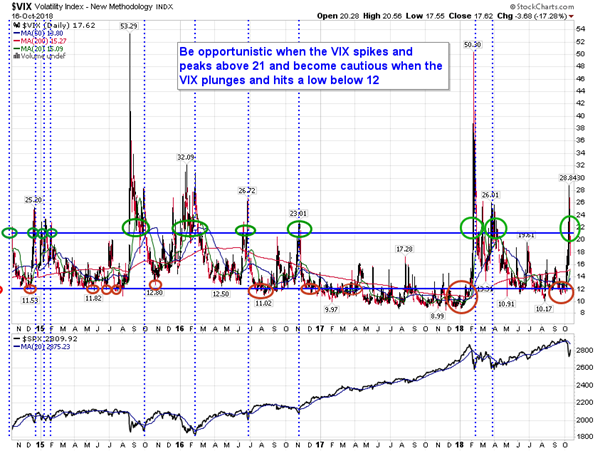 A simple trading technique in the summer is to become cautious in equity positions when the VIX bottoms below 12 and moves higher and conversely become opportunistic when the VIX peaks above 21 and subsequently moves lower. 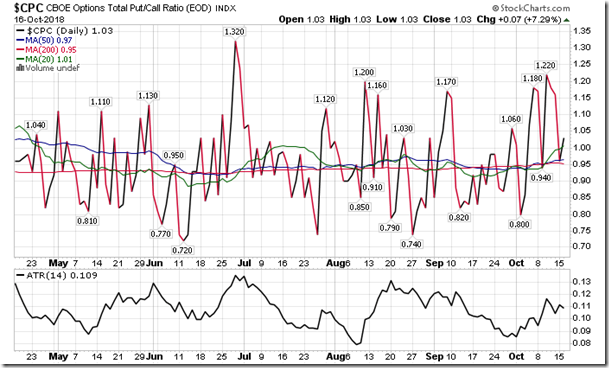 The sell signal with respect this indicator was provided on October 4th and now a buy signal is being suggested as bearish bets unwind. 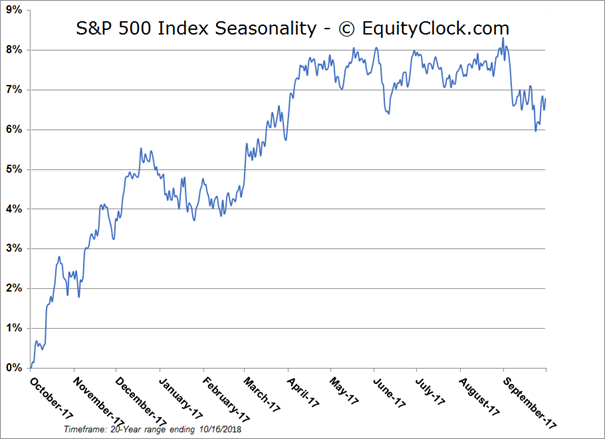 Seasonally, the VIX tends to hit a peak by the middle of October, on average, then moves lower through the rest of the year as stocks move higher. On the economic front, a report on industrial production confirmed that strength in manufacturing activity continued into September. The headline print indicated that industrial production increased by 0.3% in September, beating forecasts calling for a 0.2% rise. The manufacturing component was inline with expectations, higher by 0.2%. Stripping out the seasonal adjustments, total industrial production actually declined by 0.9%, which is marginally better than the 1.0% decline that is average for this time of year. The year-to-date change in production is 1.2% above the seasonal average trend through the first three quarters, which is the third best performance since the economic recovery began. Manufacturing, meanwhile, is running 0.6% above average, which is the best performance since 2011. Other categories in the report showing strength: business equipment production running 2.3% above average year-to-date, defense and space equipment hovering 4.9% above the seasonal norm, and materials production is 2.8% higher than the seasonal average trend. The only categories that are showing sluggish results are utility production, which is being hindered by below average natural gas production, and non-durable consumer good production, the result of weakness in the energy sub-category. Overall, the solid manufacturing fundamentals in the US remain intact, despite the headwinds created by tariffs and the slowdown in activity on a global basis. Seasonally, industrial production tends to decline through the last quarter of the year as economic activity shifts away from production and more towards spending, both via consumers and businesses. 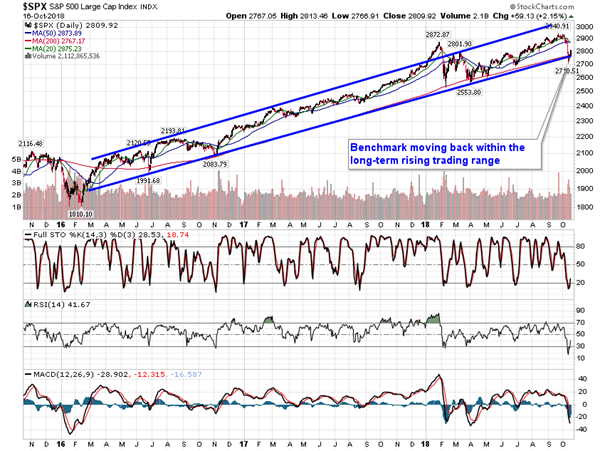 For a breakdown of the results, the charts are available via the database at https://charts.equityclock.com/u-s-industrial-production. Elsewhere in the economy, the latest Job Openings and Labor Turnover survey indicates that employers are still looking to expand their workforce. The headline print indicated that Job Openings increased to 7.136 million in August, up from the 7.077 million reported previous. Stripping out the seasonal adjustments, job openings actually declined by 2.0%, which is better than the 5.5% drawdown that is average for August. Openings are showing growth this year that is 18.9% above average, which is the second best performance on record. As for hires, the pace is 5.1% above the seasonal norm, driven by strength in mining, construction, manufacturing, transportation, retail, and finance. Aside from retail, the strength and weakness amongst the categories between openings and hires are consistent. Evidence of a skills gap in the economy remains as employers seek to fill positions that require advanced technical knowledge. The net result is that employers will be forced to pay more for the employees that they require, fuelling wage inflation. 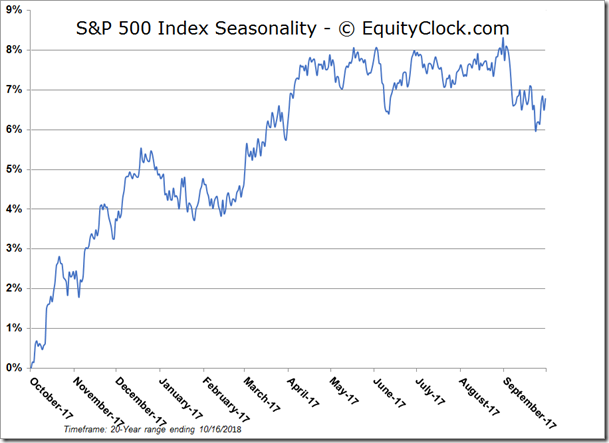 Seasonally, openings tend to gyrate around the highs of the year through October, then dip in the last two months of the year as hiring activity wanes into the holidays. 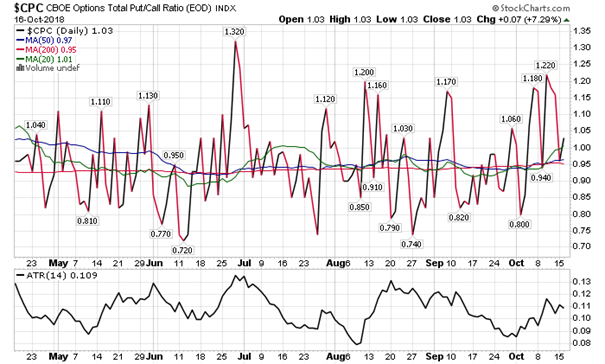 Sentiment on Tuesday, as gauged by the put-call ratio, ended bearish at 1.03.